We has been manufacturing,supplying and exporting our world wide customers with full-line of high quality Brass Torch.We have qualified squad of highly skilled and dedicated workmen putting their best to produce the best quality products for international customers. And we strive hard to cater a wide range of our customers' business needs and supply our quality products across the globe. On the basis of our advanced equipment and excellent technology, we are offering a wide range of products relying on strict quality control, scientific management and multi-procedure during quality check. We welcome new and old customers to contact us for future business relationships. 2. 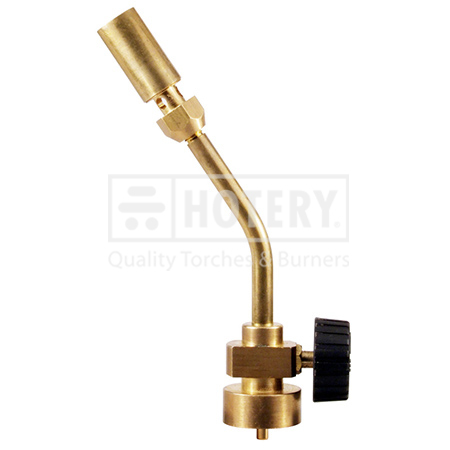 Torch body: brass / gas regulator: plastic. 3. Pencil flame type (pinpoint burner). 4. Easy to operate and light weight. 5. Available with extra burner heads. 7. Good for soft soldering / home improvement used.